The RackPack 500 frame offers eight slots to host four SPL and four Series 500 compatible modules. 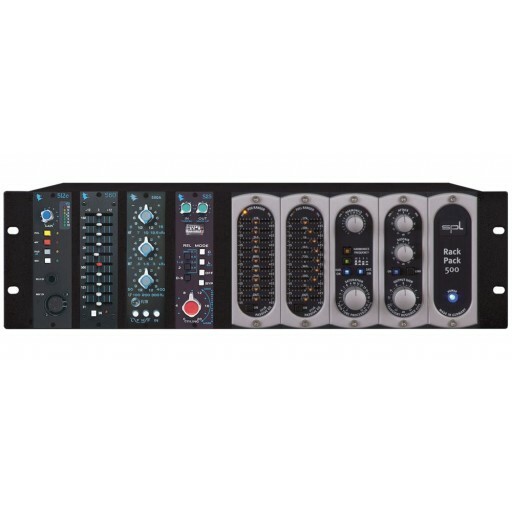 It allows you to set up a very compact, customized analog rack on only 3 U rack space – equipped with both SPL and Series 500 compatible modules. NOTE: Empty SPL module slots will be covered with a blank panel and the silver ornament plate. Empty Series 500 slots will remain uncovered.